Jessica DeBruin is a principal in the firm’s Commercial Finance Group. She represents banks and other commercial lenders in documenting, negotiating and performing due diligence for asset-based and cash flow loans. 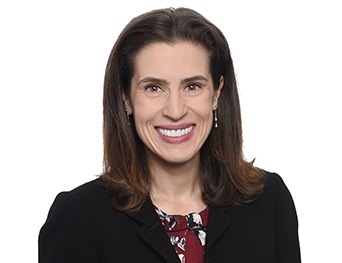 Additionally, Ms. DeBruin has worked on a wide range of credit facilities, private placement note offerings, securitizations, and leveraged leases on behalf of borrowers, issuers, lenders, equity investors, lessees, and lessors. Ms. DeBruin was a presenter at Strafford Publication's CLE teleconference "Deposit and Security Account Control Agreements Under the UCC" in March 2009. She is admitted to practice in Illinois and is a certified public accountant. Ms. DeBruin received her law degree from New York University School of Law in 2000 and her B.S. in accounting, with honors, from the University of Illinois at Urbana-Champaign in 1997. At New York University, she was the Senior Articles Editor for the Annual Survey of American Law.